The SX300R is more than a great handheld flashlight, it is also a ready-to-go area light, utilising two chip-on-board (C.O.B.) LEDs. Slide back the body of the flashlight to access the C.O.B. stretch light. Once activated, you can toggle through three C.O.B. light modes: white, solid red and flashing red. 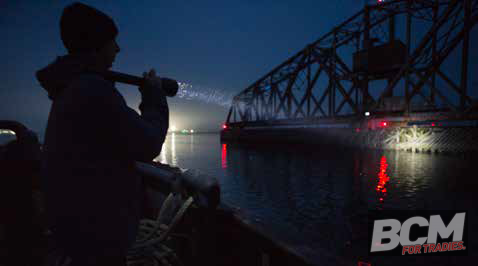 By twisting the head of the flashlight, the SX300R focuses from a flood beam to a pure spot beam with a range of 229m. To maximise runtime and fit the user’s needs, the flashlight toggles between low, medium and high modes with a brightness range of 95 to 850 lumens. The C.O.B. area light and the flashlight can be used at the same time for ultimate versatility. The flashlight features a strong magnetic tailcap to affix the light to metal surfaces for hands-free use. With a weatherproof rating of IPX4, the SX300R is ready to be used in a variety of weather conditions. The flashlight was also tested and rated to ANSI and FL1 standards, ensuring durability for a long life. 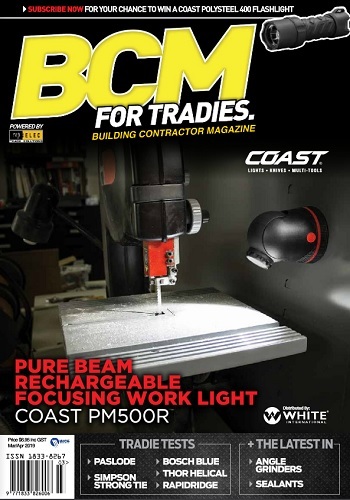 The SX300R is Coast’s first rechargeable flashlight with C.O.B. It comes with a lithium polymer rechargeable battery pack and four AAA alkaline batteries. Users can charge the battery pack via USB when not in use both inside and outside the light. The SX300R has a lifetime warranty against defects in materials and workmanship.